Statins are now among the most widely prescribed drugs on the market with one in four Americans over 45 taking them, and are the number one profit-maker for the pharmaceutical industry, largely due to relentless and highly successful direct-to-consumer advertising campaigns. In fact, a recent study assessing the effect of direct-to-consumer drug advertising concluded that TV ads for statins may be a driving factor of overdiagnosis of high cholesterol and overtreatment with the drugs. The fact that statin drugs cause side effects is well established—there are over900 studies proving their adverse effects, which run the gamut from muscle problems to increased cancer risk. For example, a study published just last year in the journal Atherosclerosis, showed that statin use is associated with a 52 percent increased prevalence and extent of calcified coronary plaque compared to non-users. And coronary artery calcification is the hallmark of potentially lethal heart disease! Now, researchers have uncovered yet another MAJOR problem associated with these drugs. One of the major benefits of exercise is the beneficial impact it has on your heart health, and exercise is a primary strategy to naturally maintain healthy cholesterol levels. Alas, if you take a statin drug, you’re likely to forfeit any and all health benefits of your exercise. “The drugs routinely are prescribed for those with high cholesterol and other risk factors for heart disease, and some physicians believe that they should be used prophylactically by virtually everyone over 50. … [P]eople who should benefit the most from exercise — those who are sedentary, overweight, at risk of heart disease or middle-aged — are also the people most likely to be put on statins, possibly undoing some of the good of their workouts. … In past studies, researchers have shown that statins reduce the risk of a heart attack in people at high risk by 10 to 20 percent for every 1-millimole-per-liter reduction in blood cholesterol levels (millimoles measure the actual number of cholesterol molecules in the bloodstream), equivalent to about a 40-point drop in LDL levels. Meanwhile, improving aerobic fitness by even a small percentage through exercise likewise has been found to lessen someone’s likelihood of dying prematurely by as much as 50 percent. The study, published in the Journal of the American College of Cardiology, discovered that statin use led to dramatically reduced fitness benefits from exercise, in some cases actually making the volunteer LESS fit than before! The participants in the study included 37 overweight, sedentary men and women, all of whom had symptoms of metabolic problems, such as high blood pressure or excess abdominal fat. None of them had exercised regularly within the past 12 months, and most had slightly but not excessively elevated cholesterol levels. If you take a statin drug without supplementing with CoQ10—or ideally, the reduced form, called ubiquinol, which is far more effective—your health is at serious risk. CoQ10 is used by every cell in your body, but especially your heart cells. Cardiac muscle cells have up to 200 times more mitochondria, and hence 200 times higher CoQ10 requirements than skeletal muscle. Now imagine if you start straining your heart with exercise and not counteracting the CoQ10 depletion caused by the drug… it’s no wonder, really, that statin users couldn’t improve their fitness levels! There simply wasn’t enough mitochondrial fuel in their system. This is why supplementing with ubiquinol or CoQ10 is so critical when you’re taking a statin drug. A recent study in theEuropean Journal of Pharmacology showed that ubiquinol effectively rescued cells from the damage caused by the statin drug simvastatin, thereby protecting muscle cells from myopathies. Again demonstrating the necessity of CoQ10 supplementation during statin therapy, a recent study evaluating the benefits of CoQ10 and selenium supplementation for patients with statin-associated myopathy found that, compared to those given a placebo, the treatment group experienced significantly less pain, decreased muscle weakness and cramps, and less fatigue. Beware the Health Hazards of Statin Drugs! As mentioned in the featured article, improving your aerobic fitness by even just a small amount can cut your risk of premature death in half. Clearly, taking a drug that decimates your CoQ10 stores, thereby contributing to worsening heart health in the long run, while simultaneously obliterating the benefits of exercise, is not a wise move for the vast majority of people. Regular exercise is a cornerstone of healthy cholesterol management. I strongly recommend incorporating high intensity interval exercises, as this also helps optimize your human growth hormone (HGH) production. When it comes to exercise, more is not always better. As I’ve learned in more recent years, the opposite is frequently true—especially if you’re seeking longevity and optimal health, opposed to winning athletic competitions. Granted, most people are not exercising enough, so this warning does not apply to most of you reading this. But it’s still important to understand that not only is it possible to over-exercise, but focusing on the wrong type of exercise to the exclusion of other important areas can actually do you more harm than good. Research emerging over the past several years has given us a deeper understanding of what your body requires in terms of exercise, and many of our past notions have simply been incorrect. For example, there’s compelling evidence showing that high-intensity interval training, which requires but a fraction of the time compared to conventional cardio, is FAR more efficient, and more effective. You can literally reap greater rewards in less time. The same can be said for the super-slow form of weight training, which mirrors many of the health benefits of high-intensity interval training. There’s compelling evidence that the best fitness regimen is one that mimics the movements of our hunter-gatherer ancestors, which included short bursts of high-intensity activities, but not long-distance running. Get plenty of high-quality, animal-based omega-3 fats, such as krill oil, and reduce your consumption of damaged omega-6 fats (trans fats, vegetable oils) to balance out your omega-3 to omega-6 ratio. Walk barefoot to ground yourself to the earth. Lack of grounding has a lot to do with the rise of modern diseases as it affects inflammatory processes in your body. Grounding thins your blood, making it less viscous. Virtually every aspect of cardiovascular disease has been correlated with elevated blood viscosity. When you ground to the earth, your zeta potential quickly rises, which means your red blood cells have more charge on their surface, which forces them apart from each other. This action causes your blood to thin and flow easier. By repelling each other, your red blood cells are also less inclined to stick together and form a clot. That these drugs have proliferated the market the way they have is a testimony to the effectiveness of direct-to-consumer marketing, corruption and corporate greed, because the odds are very high that if you’re taking a statin, you don’t really need it. From my review, the ONLY subgroup that could benefit would be those born with a genetic defect called familial hypercholesterolemia, as this makes them resistant to traditional measures of normalizing cholesterol. Remember, your body needs cholesterol for the production of cell membranes, hormones, and vitamin D, just to mention a few. 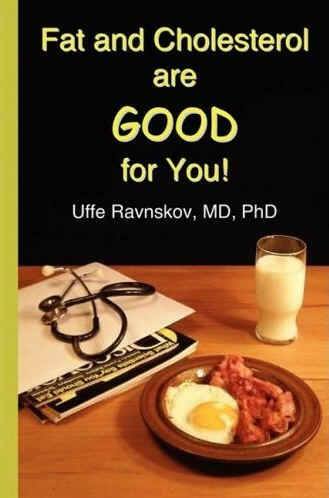 Cholesterol is also vital to your neurological function. And there’s strong evidence that having too little cholesterol increases your risk for cancer, memory loss, Parkinson’s disease, hormonal imbalances, stroke, depression, suicide, and violent behavior. Contrary to what pharmaceutical PR firms will tell you, statins have nothing to do with reducing your heart disease risk. In fact, this class of drugs can increase your heart disease risk—especially if you do not take Ubiquinol (CoQ10) along with it to mitigate the depletion of CoQ10 caused by the drug. To learn more about statins, please see my special report: Do YOU Take Any of These 11 Dangerous Cholesterol Drugs? Poor lifestyle choices are primarily to blame for elevated cholesterol levels, such as too much sugar, too little exercise, lack of sun exposure and never grounding to the earth. These are all things that are within your control, and don’t cost much (if any) money to address. The fact that statins can effectively nullify the benefits of healthy lifestyle changes like exercise, which in and of itself is important to bolster heart health and maintain healthy cholesterol levels, is yet another reason to think twice before opting for such a drug. Also remember that the BEST way to condition your heart and burn fat is NOT to jog steadily for an hour. Instead, it’s to alternate short bursts of high-intensity exercise with gentle recovery periods. This type of exercise, known as interval training, can dramatically improve your cardiovascular fitness and fat-burning capabilities. You can still incorporate some of the endurance cardio into your routine, but make sure you take advantage of interval training. The new evidence suggests that this may actually provide MORE protection against heart attacks than long durational aerobic-type exercises.